In our society, there are numerous categories that help define a person. When asked about an individual, it is easy to describe them by choosing a collection of these such as race or gender. While these groupings can be somewhat hurtful, they are mostly helpful in creating unity or learning more about ourselves. One of the more controversial labels are those that describe our interactions with the world. The word introvert describes those who gain energy from within, while extrovert describes those who gain energy from the outside world. Neither type is better than the other, and both embody a similar relationship as yin and yang. Of course, these types are stereotyped in various forms of media. Anime does a pretty good job of portraying them in a more positive and realistic light, but there are still mishaps. These generalizations stem from common traits, hobbies, and other basic characteristics of an individual that are usually unrelated to an outer or inner personality. In addition to these types is the ambivert, someone who falls in between. There are various traits that are unrelated to being an introvert or an extrovert. An extrovert can be intelligent and quiet. An introvert can be athletic and very social. Just because a person is a certain type, doesn't mean they have to apply to set rules. Destiny is not decided by someone's personality type. However, it is good idea to be aware of your traits in order to grow and flourish. This is something that is highly encouraged in the professional world by various businesses and educational environments. This is also something I see anime characters go through as their character develops and they become more confident about themselves. 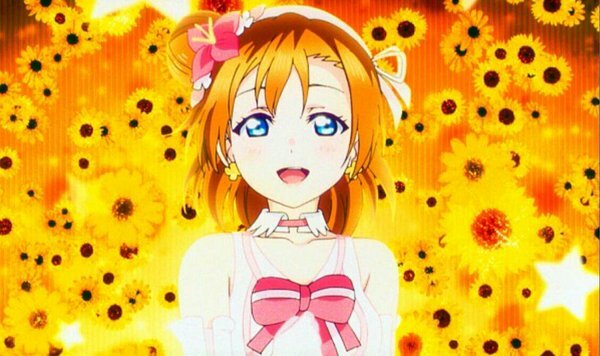 Honoka Kousaka - Love Live. A (healthy) extrovert who has a warm and caring personality, thrives by working with others and brings them together under a common purpose. 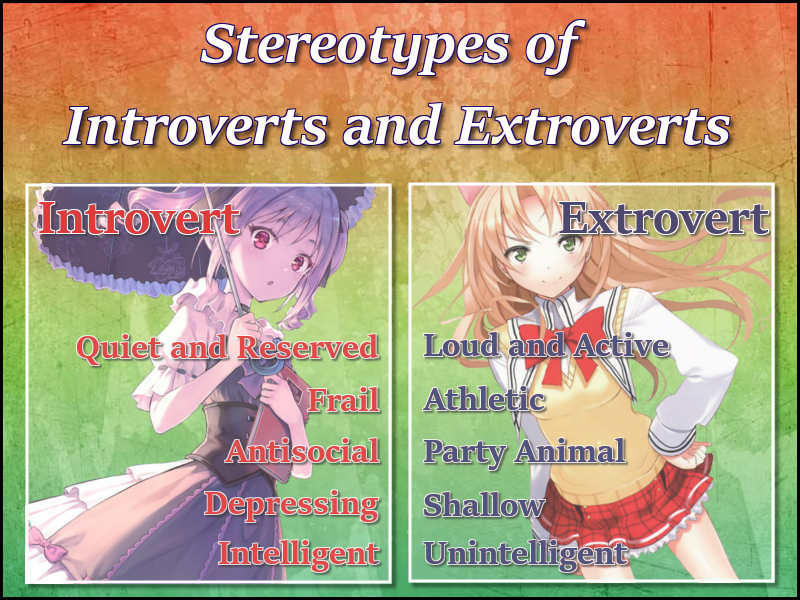 When it comes to anime, introvert and extroverts characters tend to fit into these basic molds. The main difference is that, this is just their outer layer. 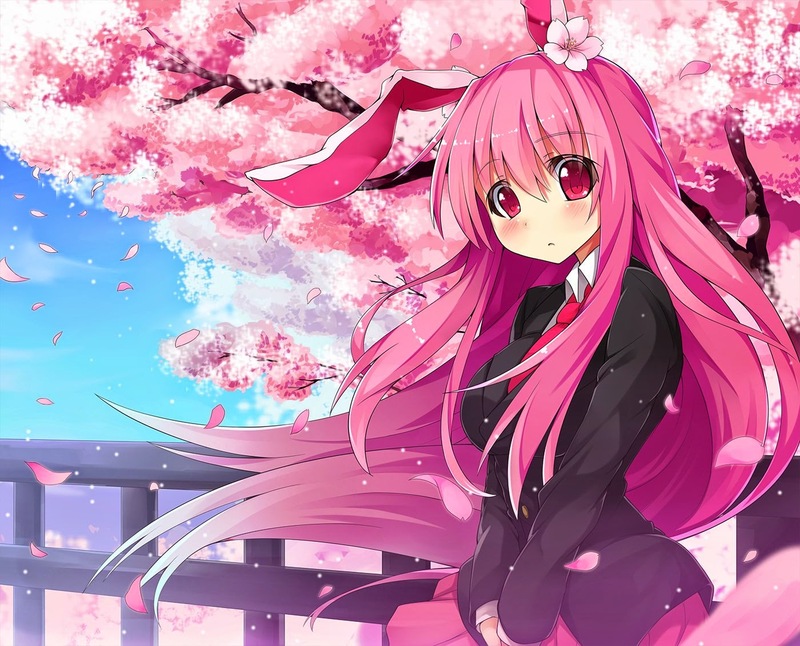 Anime tends to reveal more and more about them as time goes on, until they literally break the stereotype. They take the cliche and then add a twist over time. I think this makes anime characters a lot more relatable. Although, with these personality types, there can sometimes be too much of a good thing. No matter what side you fall on (or even if you are between) there's a certain balance that is necessary to maintain. 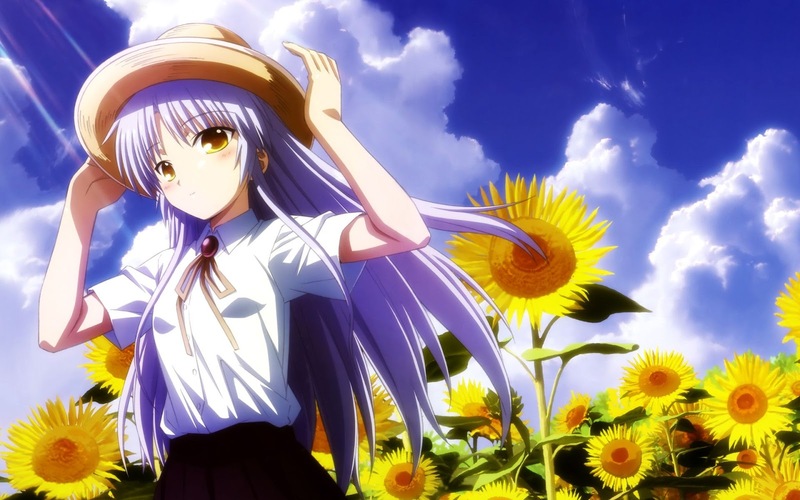 Kanade Tachibana - Angel Beats. A (healthy) introvert that is somewhat quiet, but cares deeply for her friends. She takes on tasks with great responsibility. Usually we see the hero of the story starting off as an extrovert with little substance, or an introvert that has an acute case of apathy. This is usually paralleled by an antagonist or deuteragonist (the foil to the protagonist) that sports the opposite traits. 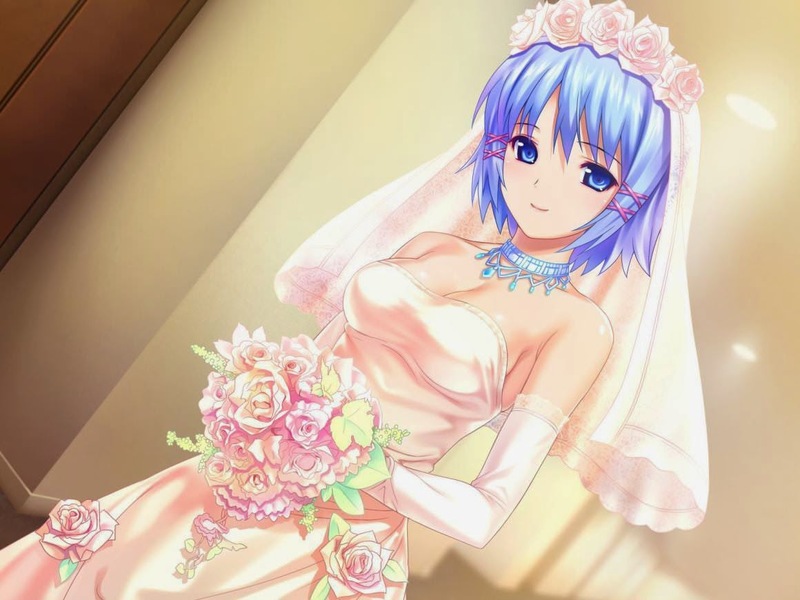 Usually the protagonists or deuteragonist grows with the series, their personality molding into a healthy version of their type, while the antagonist somewhat moves to an unhealthy level. 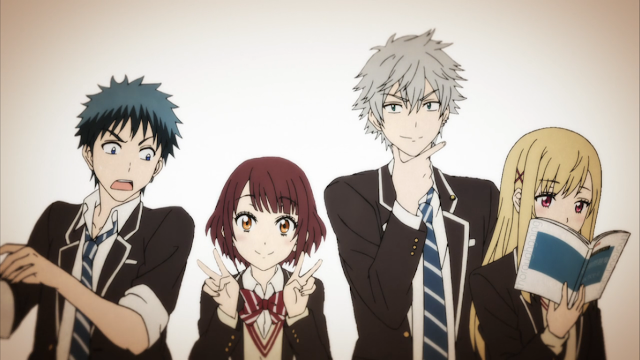 In anime where antagonist characters later become allies, we see a change similar to the protagonist. What are instances of unhealthy and healthy levels of introversion and extroversion? Well unhealthy habits actually represent a few of the stereotypes that are present. An extrovert may over exert themselves and forget to spend time on themselves, while an introvert may shut themselves off from people in general, preferring complete solitude. Neither of these are healthy and they do not summarize the types. Since in most cases, the stereotypical villain is an introvert, it's easy to see negative and unhealthy traits from them in anime. Otherwise, we may see negative extroverted traits from protagonists. Regardless of being introverted or extroverted, having a layer of substance aside from these types is what makes or breaks a character. Just because you enjoy doing this, doesn't mean you're an introvert or an extrovert! Now when it comes to actual anime fans, its a different story. The whole talk about unhealthy and healthy traits stay the same, but there's stereotypes that revolve in the anime community when it comes to extroversion and introversion. 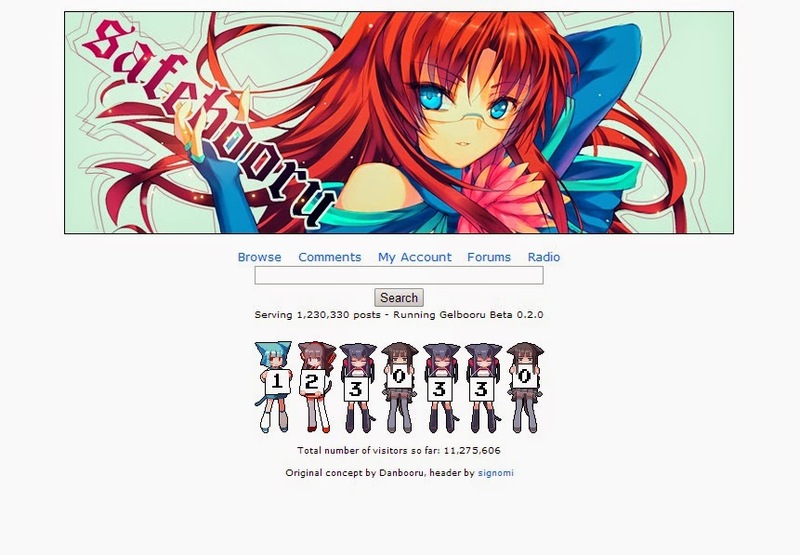 From an outside view, it'd be easy to assume that the anime community is just a collection of introverts. After all, the generalization is that introverts are drawn to media, novels, writing, and similar hobbies. Yet still, we have things like anime conventions. 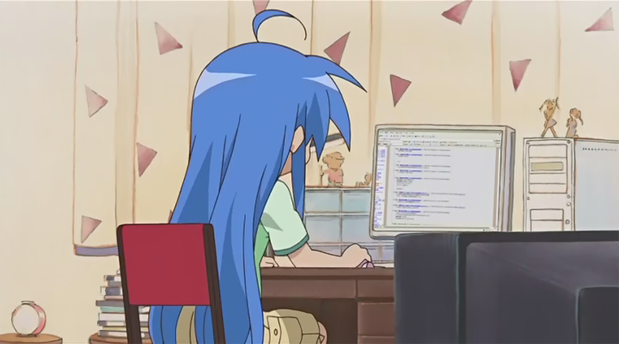 Some people have taken a liking to cosplay and being together with others, and even us anime bloggers gain our ideas from interacting with our world. 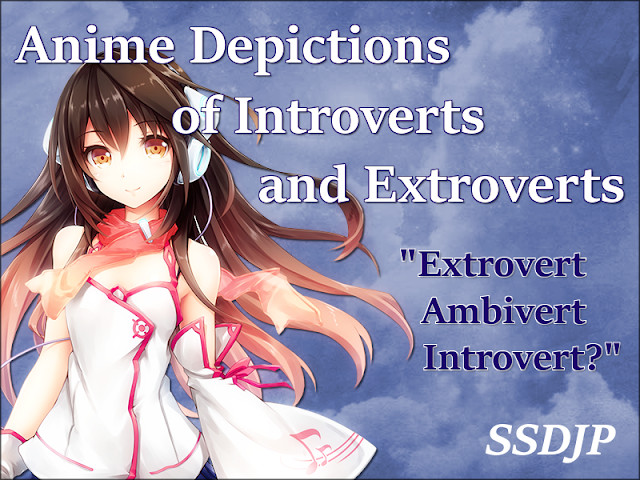 The conclusion is: anime is a medium for both introverts and extroverts, and so is any other occupation or hobby! So to finish things off, I hope to make the distinction between introverts and extroverts a bit more clear. Unfortunately, there's a lot of generalization, shaming, and incorrect portrayals that occur in the media, and I'd like to clear that up. Both types of people are genuinely awesome and you should definitely be proud of what you are! If you're in between the two, that is fine as well! Coming from my view, I'm an extrovert who deals with a large amount of stereotypical introvert hobbies. I enjoy writing. 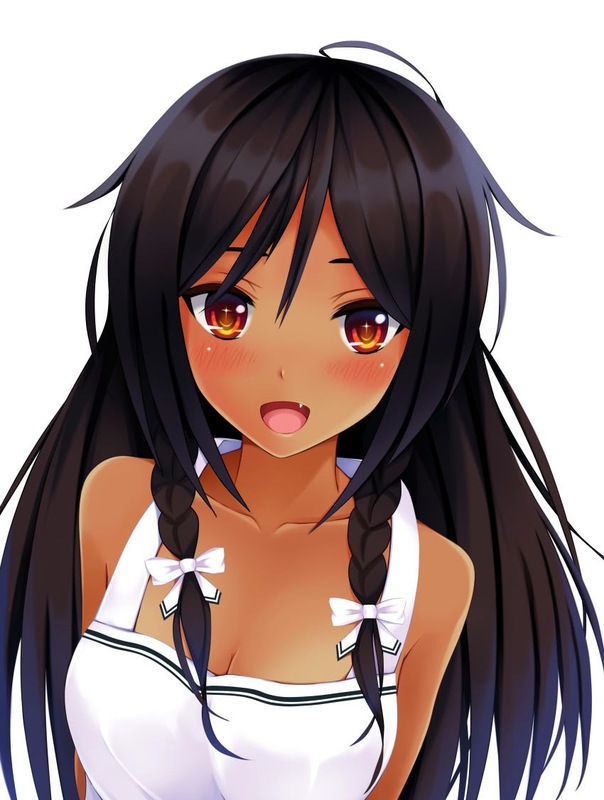 listening to music, watching anime, and of course playing video games! So don't let it limit you! For my readers, I'd like to offer resources to learn more about yourself and your personality type. These results shouldn't be taken as an end-all result though, just as a form of self-discovery and improvement. For me, the introvert side had perfectly gain the upper hand when it comes to depiction in anime industry. If we're gonna look at some introvert like Oreki Houtarou, Hachiman, and even some silent, they're typically the intelligent and somehow interesting characters as oppose to quite rigid depiction of extroverts. However, there are those characters who perfectly sits in the middle of both, such can be refer to Light Yagami, Lelouch Lamperouge, etc.